Chapters collected petition signatures urging Speaker of the House Paul Ryan, House Minority Leader Nancy Pelosi, Senate Majority Leader Mitch McConnell, Senate Minority Leader Chuck Schumer and Santa Clarita Valley Congressman Steve Knight to pass a clean DREAM Act. Chapters called and emailed the White House, Speaker Paul Ryan and Congressman Steve Knight demand they protect DACA recipients. Chapter members wore their “Immigrants Are U.S.” t-shirts to remind their communities that the U.S. is a nation of immigrants. January 23: STF leaders at Archer School for Girls held a workshop about DACA during their school’s annual Diversity, Equity and Inclusion Conference. 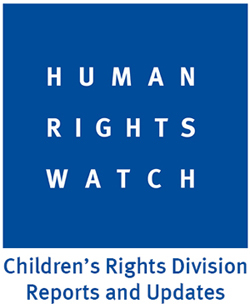 February: Culver City HS STF worked with the immigration attorney provided by the Culver City Unified School District to raise awareness about free services available for undocumented students, teachers and families. February: Freshmen seminar classes at Santa Monica HS helped STFers create a DACA wall sharing statements of vote for DACA recipients. 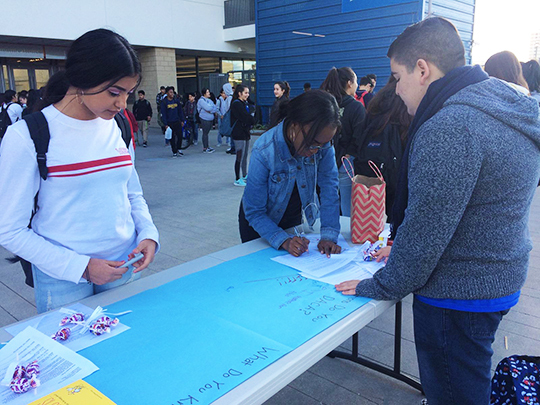 February 21: Canyon HS STF tabled to encourage their campus community to call Congressman Steve Knight and urge him to vote for a clean DREAM Act. 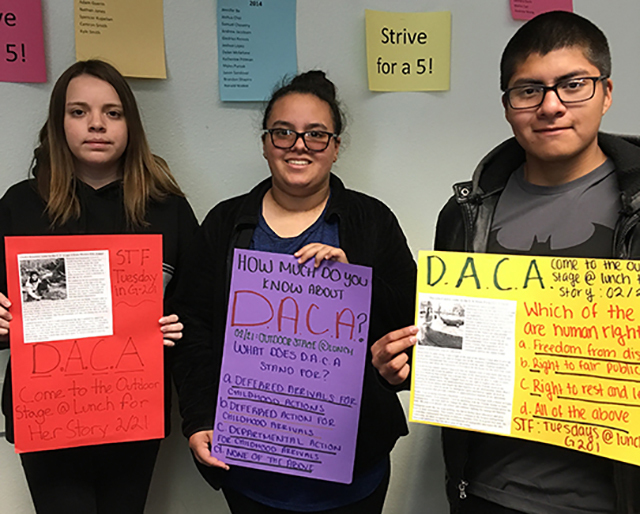 February 22: Da Vinci Schools STF asked their classmates what they knew about DACA and to share their support for recipients on a “Your Voice on DACA” poster. 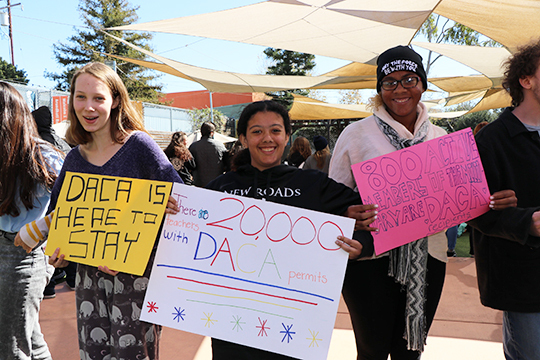 February 23: New Roads School STF invited students to stand for a moment of solidarity with DACA recipients. February 23: The Sierra Canyon School community shared their families’ migration stories during an “Immigrants Are U.S.” map event. 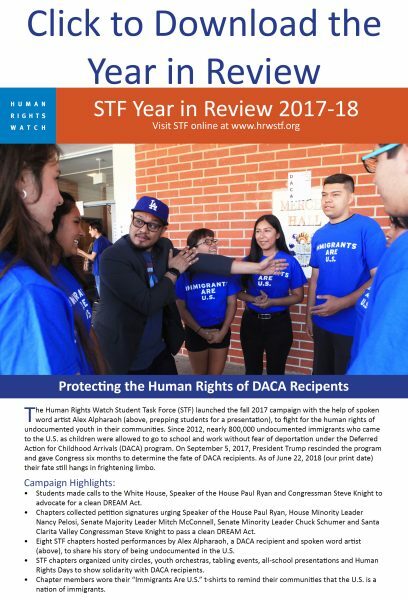 February 26: Students and teachers at Palisades Charter HS will have an opportunity to read testimonies and stats about DACA when the STF chapter displays them on campus. February 27: Members at Carson HS are sharing DACA testimonies, statistics and supportive slogans during a chalk walk around campus. March 19: Harvard-Westlake STF is hosting a youth orchestra to perform a musical piece about immigration and discussing what’s next for DACA recipients now that the March 5 deadline has passed. Stay tuned for more educational and advocacy actions in STF! New Roads students gather in a unity circle to stand in solidarity with DACA recipients. 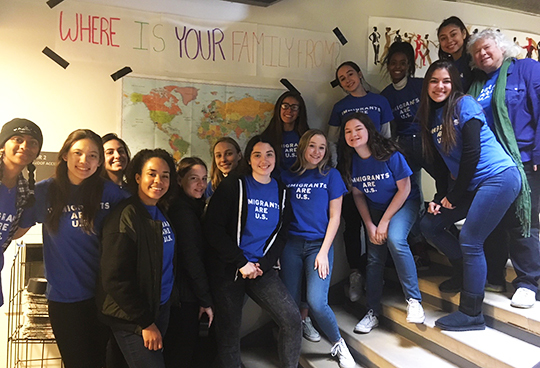 In their “Immigrants Are U.S.” t-shirts, Sierra Canyon STF asks their classmates where their families migrated from to remind everyone the U.S. is a nation of immigrants.